The Laura and the Regina were commissioned by my beautiful friend and client Laura. She asked me to create two pieces that inspired, “completion of a difficult task.” One piece would be a gift to a special lady, who was also my dear friend, and the other for herself. It seemed fitting that the pieces should emulate the beauty and energy of these two remarkable ladies. Laura has a unique and special spiritual connection about her that drew me in instantly when I met her. 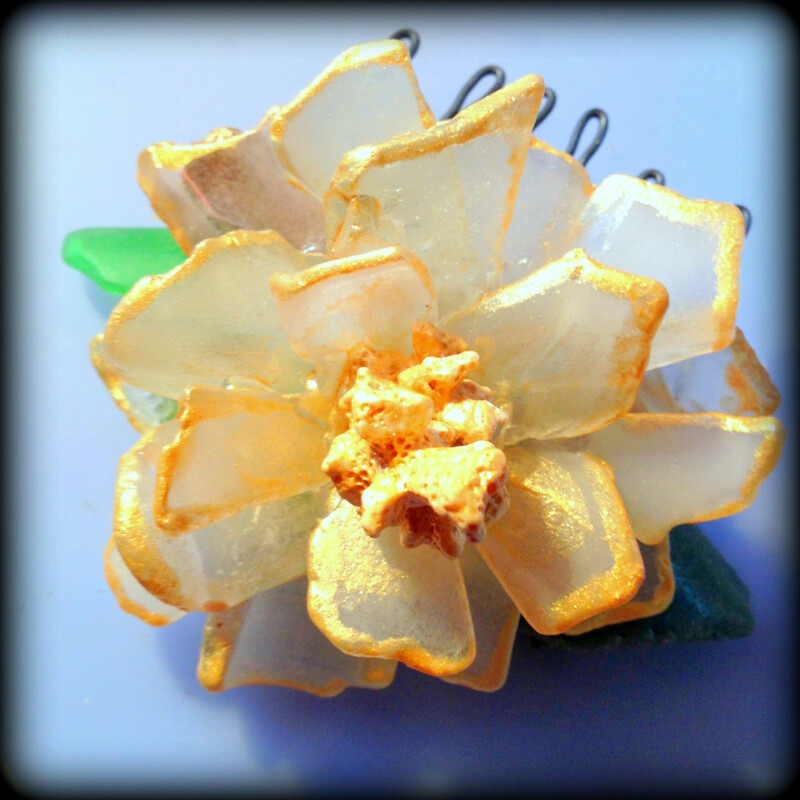 Her beach glass flower is in optimal bloom and created from soft frosted white beach glass. The warm golden highlights akin to her golden-hearted nature, this flower is nestled on a seasoned piece of Kauai driftwood. Gifts of the ocean; blessed by the sun and surf; polished in the sand; The Laura is unique, one of a kind, and as truly special as its namesake. All beach glass found on the beaches of Kauai, blessed by the sea, seasoned in the sun and polished by the sand. Commission one of a kind art for your special loved one today!